Cloud load balancing is the process of distributing workloads and computing resources in a cloud computing environment. Load balancing allows enterprises to manage application or workload demands by allocating resources among multiple computers, networks or servers. Cloud load balancing involves hosting the distribution of workload traffic and demands that reside over the Internet. Cloud load balancing helps enterprises achieve high performance levels for potentially lower costs than traditional on-premises load balancing technology. Cloud load balancing takes advantage of the cloud's scalability and agility to meet rerouted workload demands and to improve overall availability. In addition to workload and traffic distribution, cloud load balancing technology can provide health checks for cloud applications. To avoid noisy neighbors and poor application performance in a public cloud environment, cloud load balancing uses virtual local area networks (VLANs), which group network nodes in various geographic locations to communicate as if they were in the same physical location. 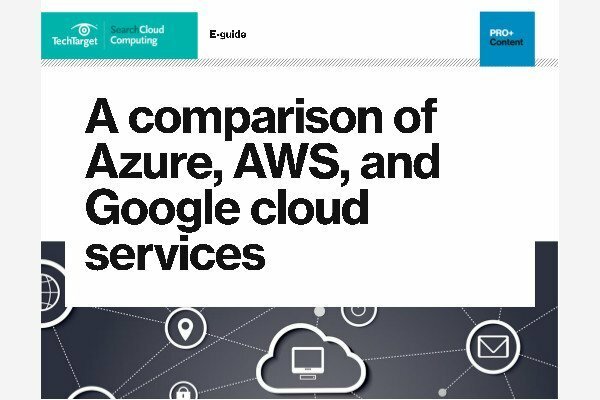 Many cloud providers offer cloud load balancing technologies, including Amazon Web Services (AWS), Google, Microsoft Azure and Rackspace. AWS offers Elastic Load Balancing, which distributes workloads and traffic among EC2 instances. Google Cloud Platform offers load balancing for its infrastructure as a service, Google Compute Engine, which distributes network traffic between VM instances. Microsoft Azure's Traffic Manager distributes traffic for its cloud services across multiple data centers. Rackspace's Cloud Load Balancers use multiple servers for workload distribution. Cloud load balancing users often include enterprises with large-scale applications that require high availability and performance, but any company can benefit from the technology. Which cloud load balancing provider does your organization use? Why?